We will contact you via email notification as soon as this product is available again. PERFECT FOR "FEATURELESS" RIFLES IN CALIFORNIA!!!! The advanced SureFire ProComp 556 muzzle brake, which fits M4/M16 weapons and variants with 1/2-28 muzzle threads, greatly reduces both recoil impulse and muzzle rise so that the weapon tracks straight back to keep you on target for faster shot-to-shot recovery. Its patented Impulse Diffusion design minimizes side blast and rear-directed concussion effects. 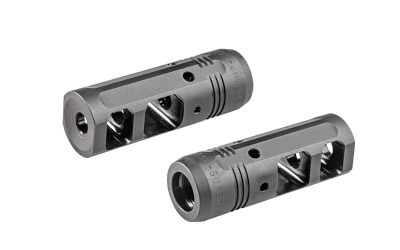 The ProComp 556 duplicates the design of the SureFire SOCOM SFMB-556-1/2-28 muzzle brake, but unlike the latter it cannot be used to mount SureFire SOCOM suppressors. Precision machined from US mill-certified steel bar stockÃ¢€â€including high-precision cut threads for optimum thread interfaceÃ¢€â€the ProComp 556 muzzle brake has a black Melonite finish that provides maximum protection under harsh environmental conditions. 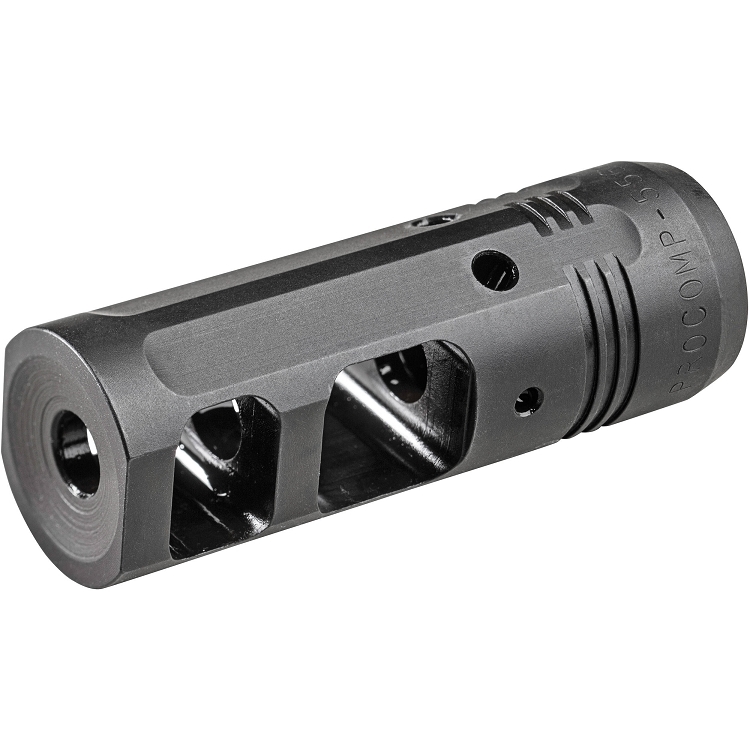 The SureFire ProComp 556 muzzle brake has a blind pilot hole at the 3 and 9 oÃ¢€â„¢clock position to enable fine-tuning of recoil characteristics for individual shooting styles or ammunition characteristics. Each ProComp 556 muzzle brake is covered by SureFireÃ¢€â„¢s No-Hassle Promise. NOTE: SureFire ProComp muzzle brakes are stand-alone muzzle devices and do not serve as mounts/adapters for any SureFire Fast-Attach® sound suppressors. This is a great muzzle break to stay legal behind enemy lines in California. It looks awesome on my rifle. I will buy another one for my next build. Copyright CALEGALMAGS.COM. All Rights Reserved.